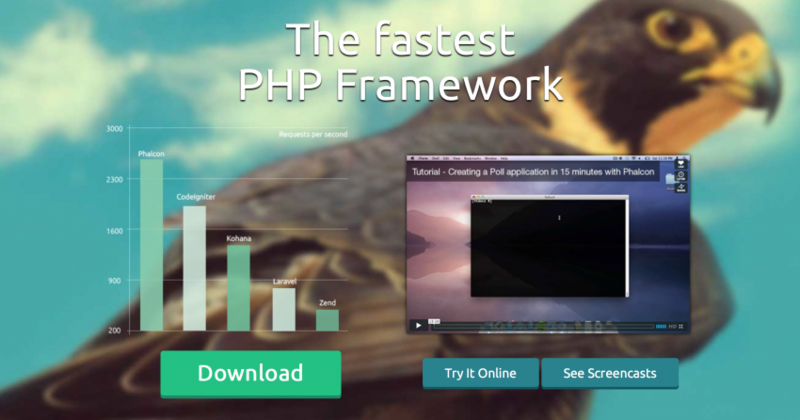 PHP is a powerful and one of the most popular coding language among web programmers. 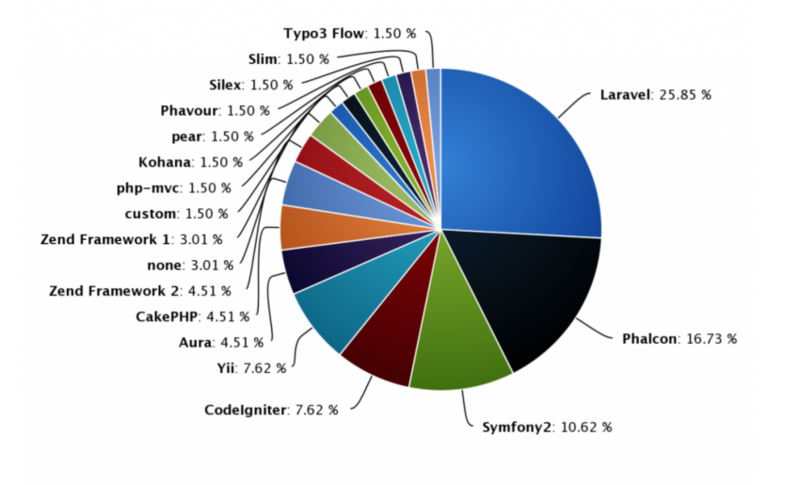 Majority of the most popular websites on the web are based on PHP programming language. 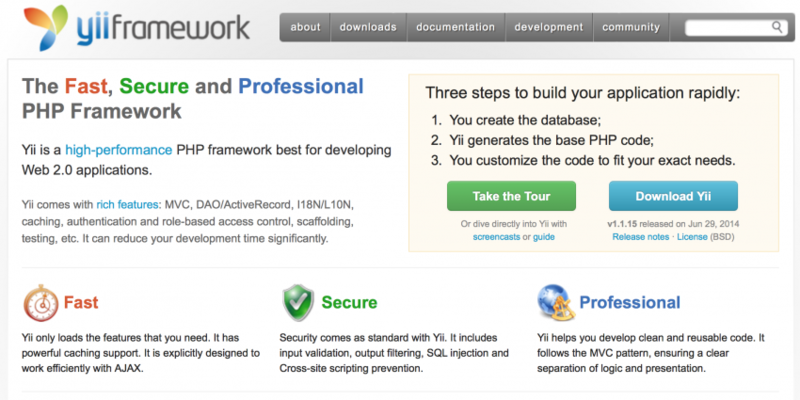 In this article, we are looking to help you choose the best PHP framework for 2014. A Toolbox – a set of prefabricated, rapidly integrated software components. I’ve used Zend Framework 1 and 2 in large scale enterprise projects for years. 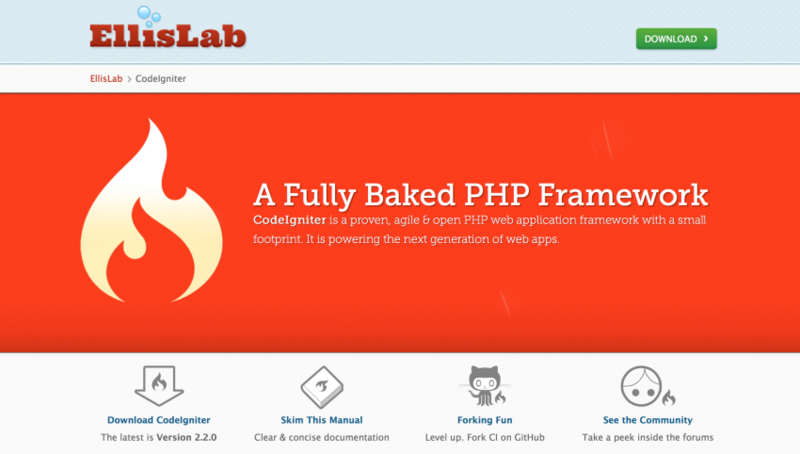 It has been one of the leading PHP frameworks with flexible architecture suitable for modern web applications for years. Recently I have switched over to a couple of newborn frameworks, but that is my personal preference. Zend framework is designed with simplicity in mind. It is lightweight, easily customizable, and focused on most common needed functionality. It is built to dramatically ease the learning curve you must climb when adapting to a new framework. It is widely used, so quite well tested and safe. 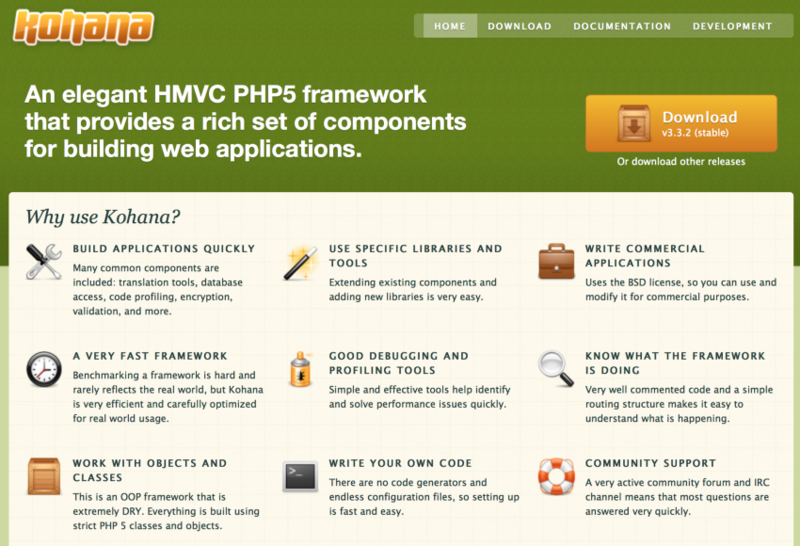 Kohana is an elegant PHP framework with a rich set of features for building web applications. It allows to build web applications quickly, as it has many common components included, as translation tools, database access, code profiling, encryption, validation, and more. It also has good debugging and profiling tools which helps to solve any occurring problems, which often is very time-consuming without the right tools. Fuel is a simple, flexible, community driven PHP 5.3+ framework, based on the best ideas of other frameworks. It is currently releasing version 2 of the project, currently in beta stage. Extensible: Silex has an extension system based around the Pimple micro service-container that makes it even easier to tie in third-party libraries. Performing a representative benchmark across different framework is not an easy task. There are multiple ways to use each of them. Every use case will give different reading. Lets take routing as an example. Zend Framework 1 by default doesn’t need a routing file. It’s happy to use “/controller/action” pattern. On the other hand Symfony2 comes with a routing configuration. The file has to be read and parsed. That obviously takes some additional CPU cycles but does it mean Symfony2 routing is slower then Zend Framework 1? The answer is (obviously) no. Code was hosted on Amazon EC2 medium instance. I installed PHP-APC to avoid disk access and code parsing. I also made sure there is no I/O on Apache2 or application level. I set logs and cache paths to “/dev/shm/”. I tweaked projects to make them return roughly the same amount of data (10KB). All virtual hosts had the same mod_rewrite rules. AllowOveride was set to None. Based on Systemarchitect’s benchmark, I’m not surprised, Phalcon is beating everyone on the list, as well as seeing Slim to be the second fastest because it’s a micro framework. The Quick Start project didn’t use any templates or layout which obviously contributed to the reading. Zend Framework 1 is twice faster than Symfony2 and Zend Framework 2 but in my experience the number will quickly go down in a real live setup. 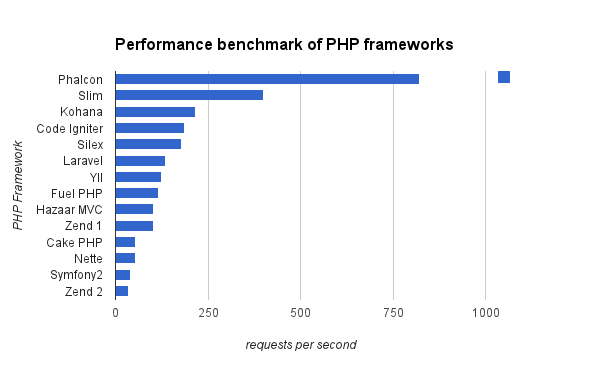 Frameworks should speed up development, performance is a secondary concern. Zend Framework 2 and Symfony2 could do better but it’s not bad. There are ways to improve those numbers on production servers. Don’t reinvent the wheel, learn and use frameworks. There are various options which balance between performance and features. 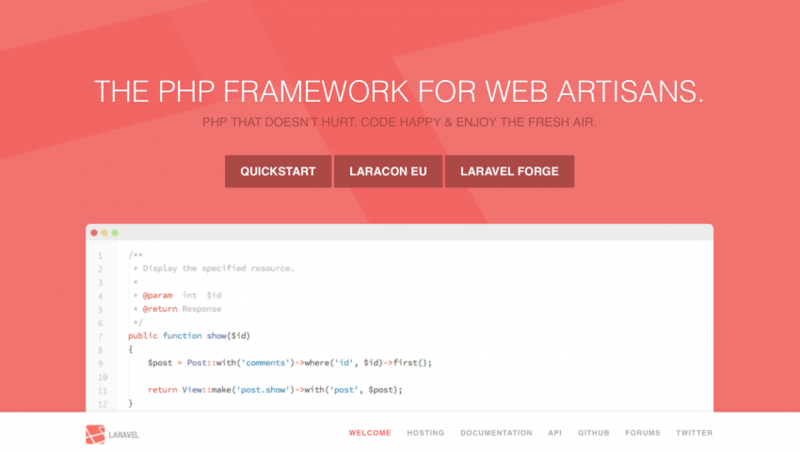 Summarizing the list, we think that the best 5 PHP Frameworks currently are: Laravel, Phalcon, Symfony2, CodeIgniter and Yii. 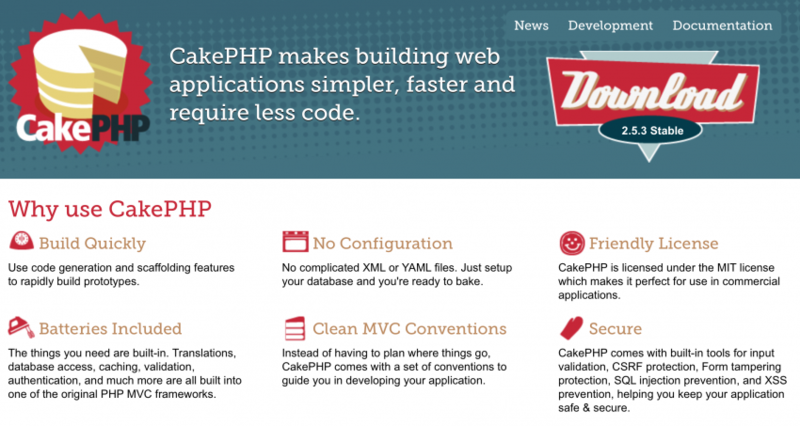 But we understand that a PHP framework is more of a preference for the web developer and that in the market today there are many strong products.